Good news for otters! Well, at least some of them. The population of southern sea otters living off the central coast of California is increasing, exceeding 3,090 for the first time this year. If this number holds for three consecutive years, the otter could be taken off the U.S. Fish and Wildlife Service’s list of threatened species. This would represent a remarkable recovery from an estimated low of somewhere between 1,000 and 2,000 otters worldwide in 1911. The otter’s charisma has attracted huge conservation efforts, saving them from what would have been certain extinction for droves of other species. However, the situation still bleak for otters not living between Monterey and the seaside town of Cambria to the south. The otters at the northern and southern ends of this range have continued a five-year drop in numbers, according to the Monterey Bay Aquarium. Although this is only a slight decline, it is still not the recovery conservationists were hoping for. Many of these otters have been found with fatal shark bites. Scientists can’t understand why the predators are going after the small, lean mammals, since the sharks don’t seem to be eating them. Not only do these attacks set back population growth, they also prevent the otters from expanding their geographic range. But southern sea otters have it easy compared to what their counterparts to the north had to deal with last year. National Geographic recently described a patch of warm water, or hotspot, that plagued the waters from the Gulf of Alaska to the central coast of California in 2015. Larger than the contiguous United States, and up to seven degrees Fahrenheit hotter than average, the hotspot ravaged birds, fish and mammals alike. Massive algae blooms led to an outbreak of toxic domoic acid poisoning, whose symptoms progress from dizziness to loss of coordination, and then to seizures and death. “By year’s end, 304 [otters] were dead—nearly five times the recent average,” the National Geographic article reported. But otters have one important thing going for them: We find them irresistible. And in this human-dominated age, that may be their greatest asset for survival. People care most about animals they have an emotional connection to, and it’s impossible to resist one whose furry face and button eyes looks like a favorite childhood plush toy. While many conservationists decry prioritizing animals that humans happen to find cute, others argue that protecting charismatic species tends to benefit their at-risk neighbors that don’t happen to look like cuddly cartoon characters. For example, the wolf eel lives in the kelp forest ecosystem alongside otters. 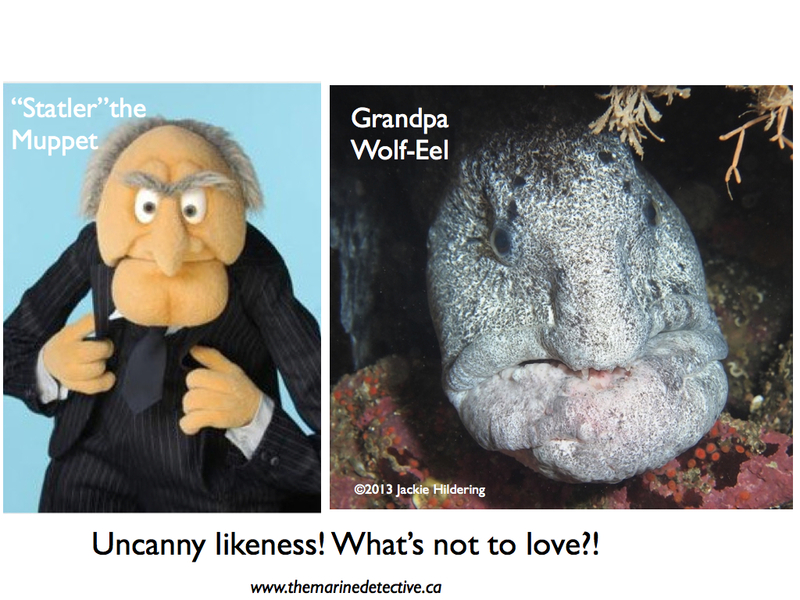 Looking about as attractive as Statler the Muppet, the eel benefits from conservation efforts aimed at its cuter neighbor. This is because otters are a key species in the kelp forest. 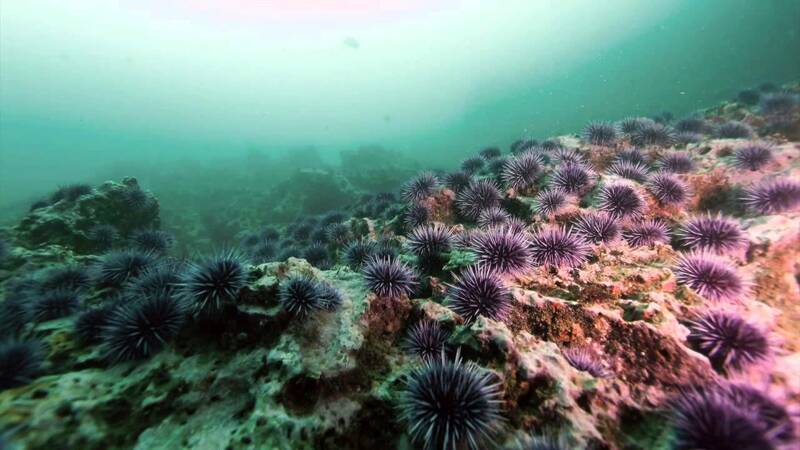 By dining on sea urchins, otters keep the urchins from eating their way through the forest of tree-like algae, leaving behind a bare reef in what was once a thriving and diverse habitat. 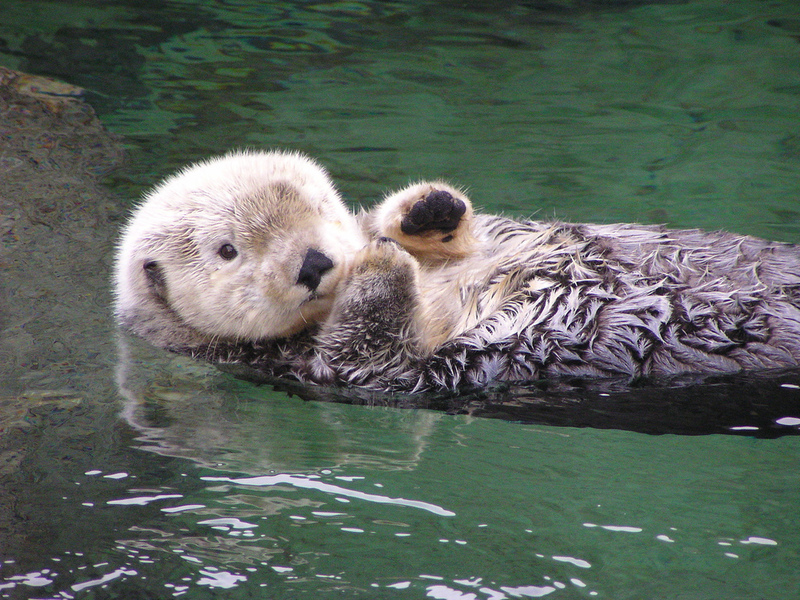 So instead of fighting human nature, let’s take full advantage of it and let the adorable sea otters serve as mascots for all the plants and animals they live with. Hopefully, the otters’ charm will bolster efforts to protect a broader ecosystem at risk from rapidly changing seas. Great article showing cuteness can save many!